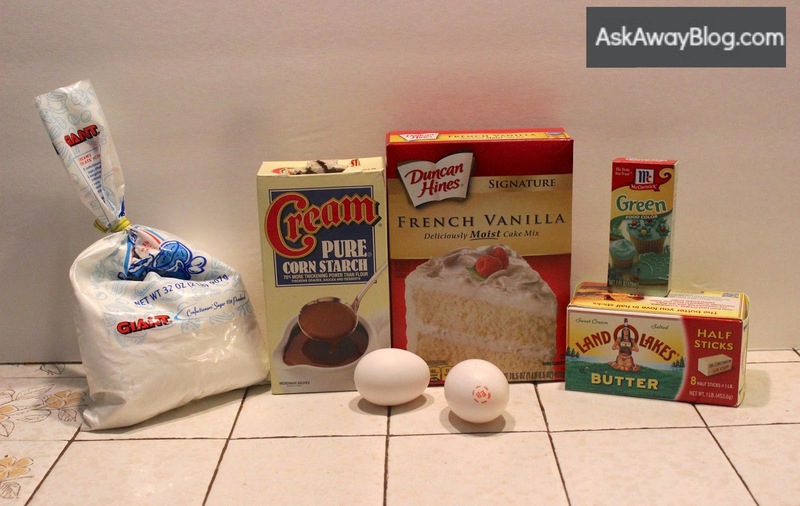 I'm so excited because today I'm debuting my very first ever recipe post on Ask Away!! 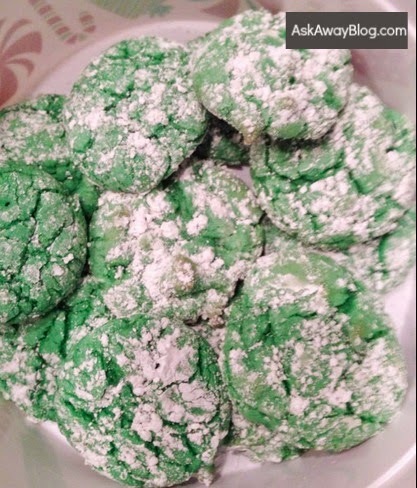 It's for my favorite kind of Christmas cookie ever! 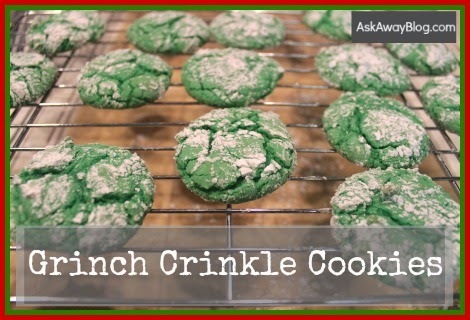 They are called Grinch Crinkle Cookies and I pretty much have my own little way of doing things, so this is kind of an Ask Away original recipe! 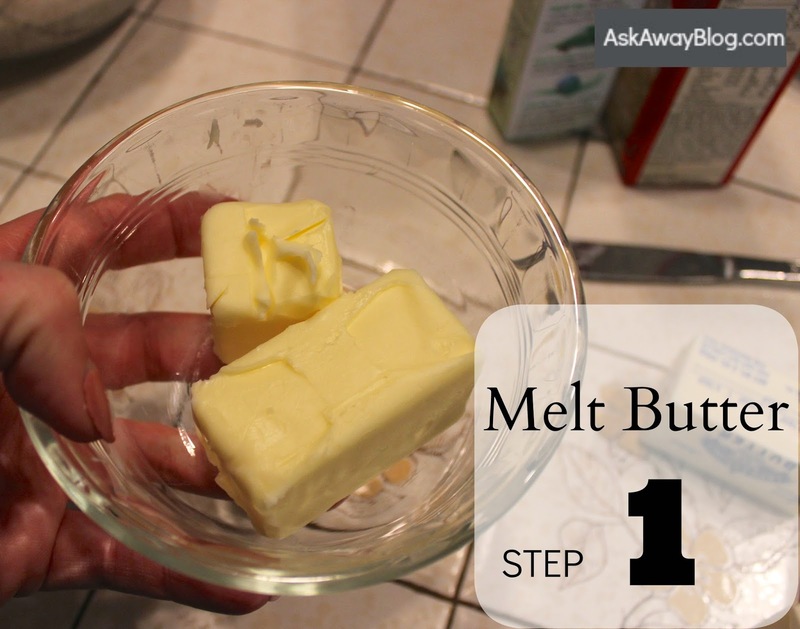 Melt your butter and set it aside so it cools down. 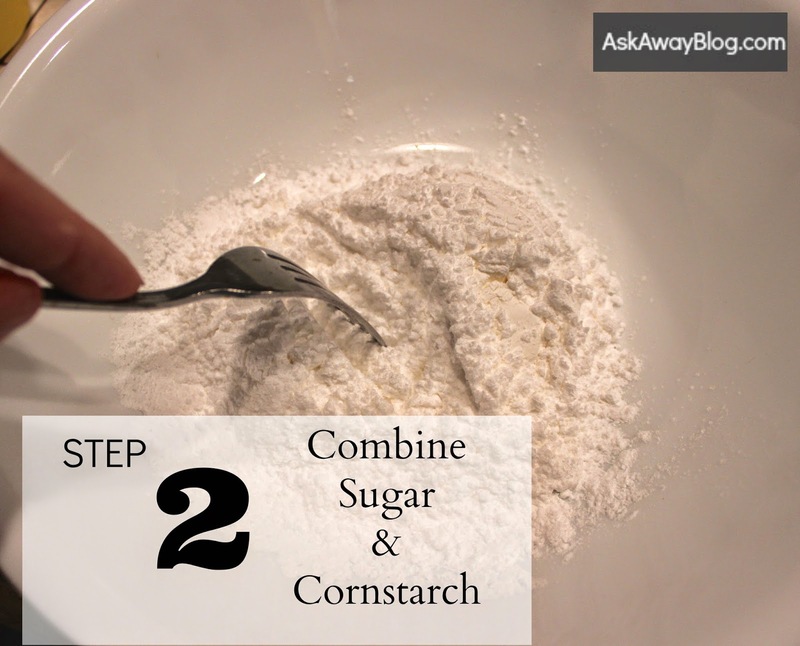 Using a fork, combine 1 cup of powdered sugar with 1 1/2 teaspoons of cornstarch. Do this in a bowl that's more shallow since you will be rolling your cookies in it. 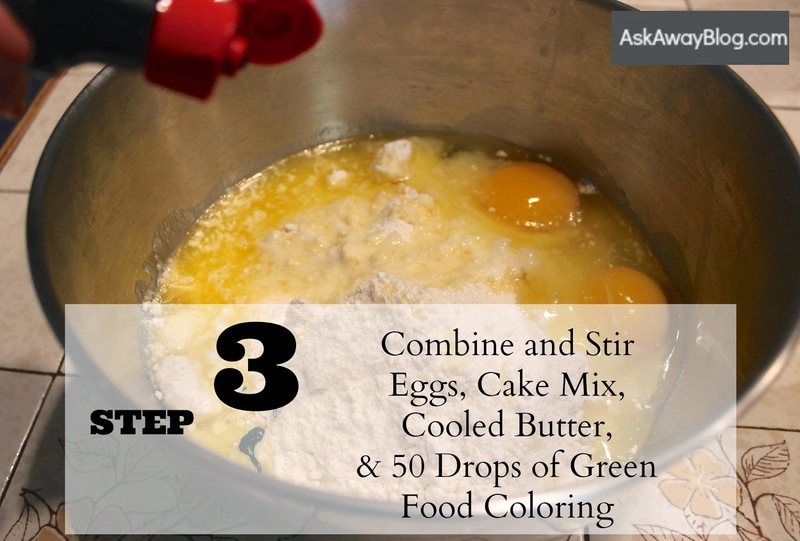 Combine the cake mix, 2 eggs, cooled butter, and add 50 drops of green food coloring. Stir until thoroughly mixed and everything is green. 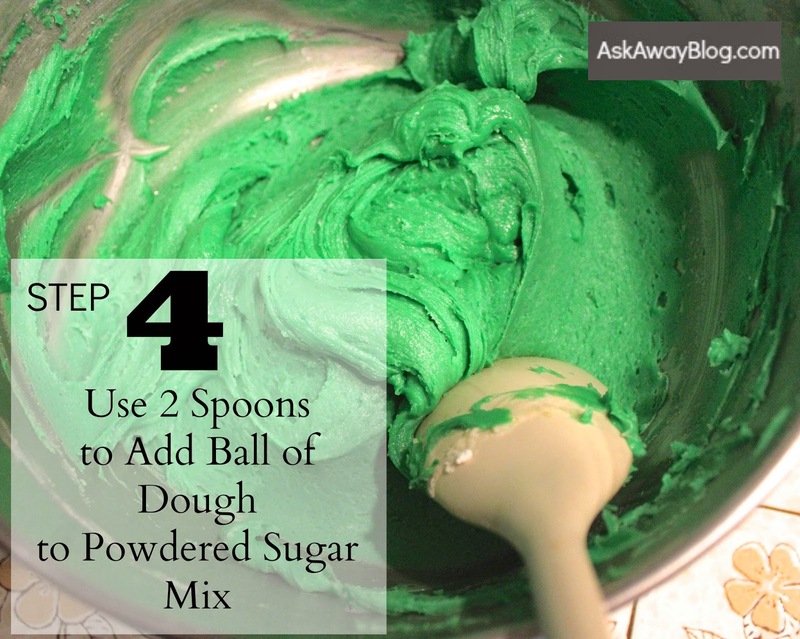 Use 2 spoons and grab a ball of green cookie dough and drop it in powdered sugar. 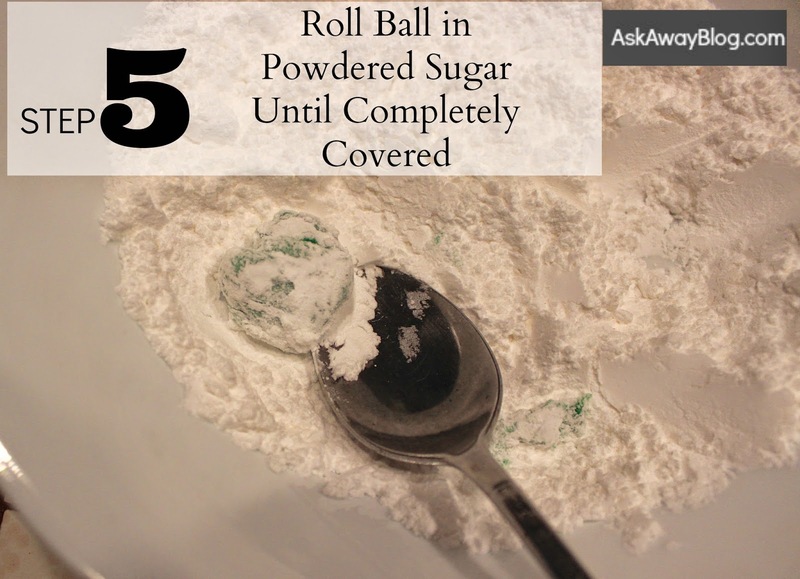 Use your spoons to roll the dough ball around in the powdered sugar mix until completely covered. 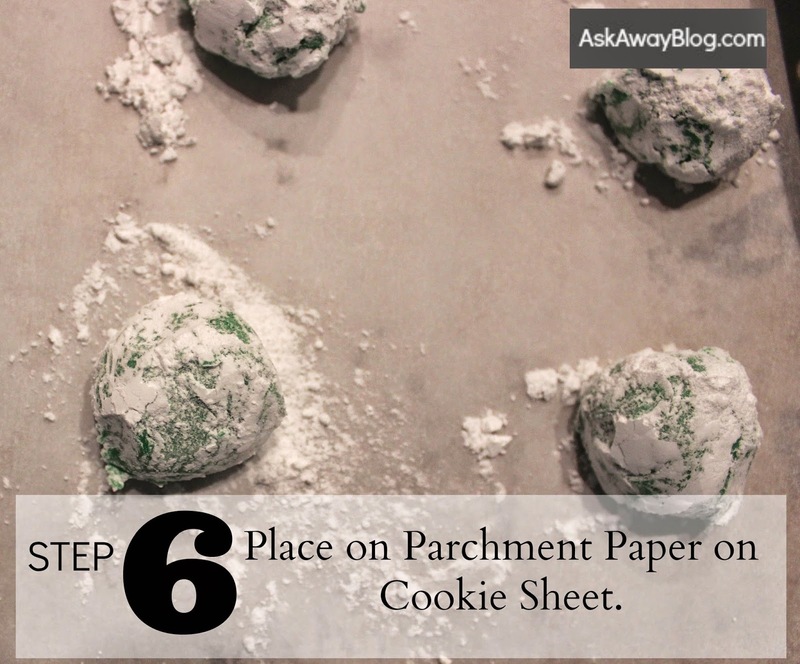 Drop your cookie dough balls onto parchment paper on a cookie pan. 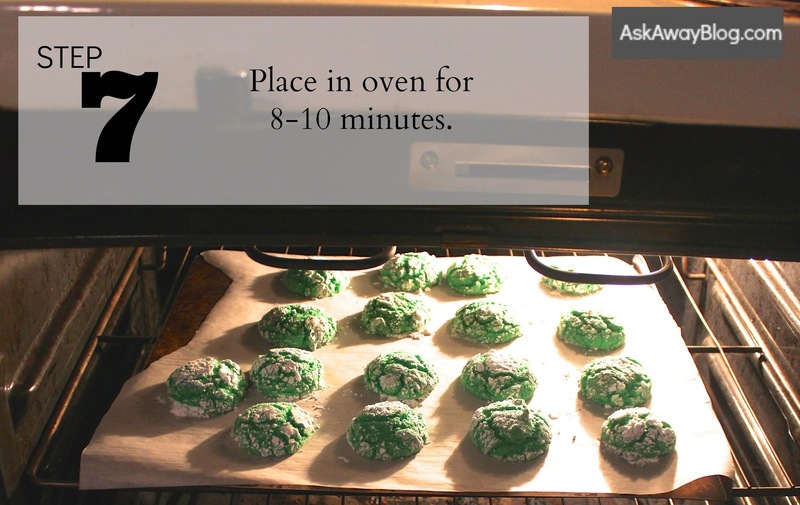 Take your cookies out of the oven, even if they look "wet", and place them on a cooling rack. ENJOY!!! 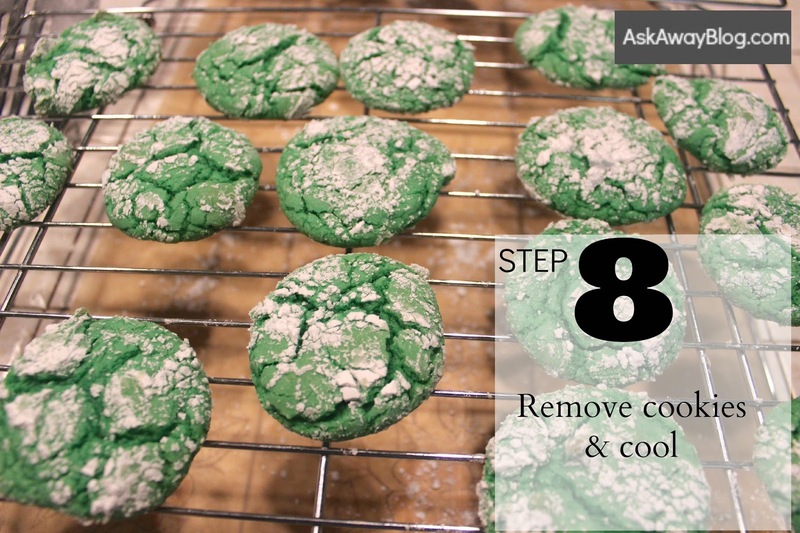 This recipe generally makes around 30-35 cookies. Brace yourself because youre getting some! They are SOOO good! let me know how yours turn out!